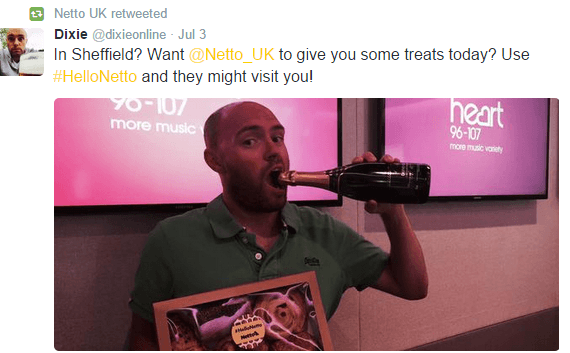 Home » Client News » #HelloNetto – Tasty Pastry Anyone? 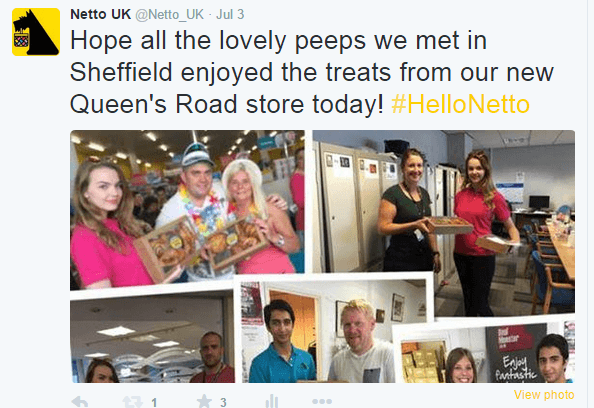 As part of our work with Scandinavian supermarket chain, Netto, we were tasked with helping to launch Netto’s new Queen’s Road store in Sheffield – part of the firm’s plan to open 15 stores in 2015. We wanted to get locals talking about Netto online, so what better way to do it then by getting potential customers to experience some of the great tasting (and surprisingly good value) produce Netto has to offer. Our #HelloNetto tasty pastry Twitter take-over did just that. One of Netto’s hero products is the Copenhagener – a delicious almond and poppy seed pastry that is to the Danish what the croissant is to the French. Netto prides itself on its fresh pastries which are only 29-39p each. We wanted to educate people on these tasty pastries – so for one day only – a week after the new store opened – Sheffield businesses were able to tweet for a treat! 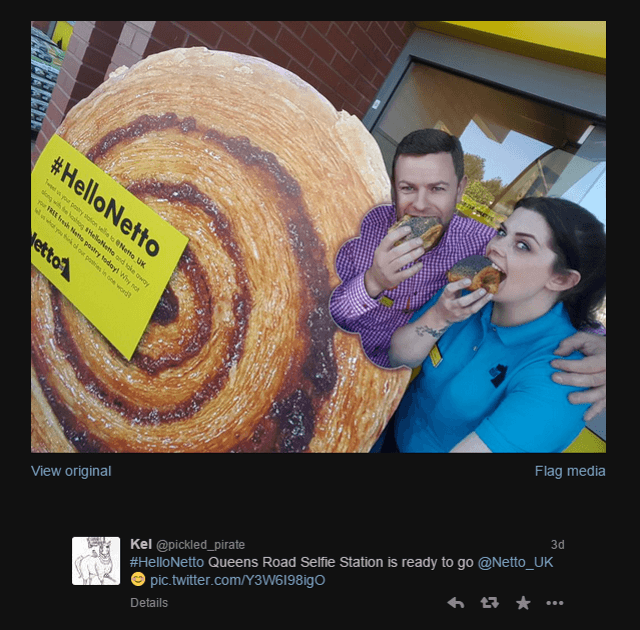 Our promo team delivered freshly made Netto pastries to organisations in and around the city in return for a tweet! The branded pastry boxes included a selection of Netto’s fantastically priced pastries along with details of the new store. Recipients we encouraged to share their team’s thoughts about the pastries with the hashtag #HelloNetto. Throughout the morning, we delivered pastry boxes to more than 60 Sheffield businesses, receiving tweets from the city’s biggest brands and we even received requests for deliveries to Netto’s main competitors such as Asda and Upper Crust. An in store selfie station complimented the online activity, with customers posing for a #HelloNetto selfie in return for a free pastry. The campaign’s hashtag was trending in Sheffield all day with brand mentions and engagement sky rocketing across the board. Netto’s share of voice rose from an average of 1.2% (with Aldi and Lidl) to 21.4% on the day of the campaign. Radio drops offs led to campaign mentions by Capital FM and Heart FM presenters. The stores sales figures were the most successful of all new stores launches this year.